There are significant changes afoot for the reach, focus and information beyond the Land of Nipigon Adventure Guide. As part of the changes, I can compile and display trails and recreation interactive map for the region. In addition to being displayed online, the data and resources will also be included on printed maps, guidebooks and resources which will be available online and in select stores and venues in the coming months. There are also substantial changes coming to the maps (digital and print) which are all currently under redesign and focus as well as additional subject focused guidebooks in development, all with local flavour and all containing information and resources to not only bring people here, but to inform the people of the region what is available here. Below is just a sample of the development of the map and its resources. In the coming weeks, this information will expand and extend to represent the recreational activities available in our region. The Map below is in testing mode. Local information, points of interest, trails and more is being added and functionality with descriptions and more is being developed actively. Georgia Lake Fishing Location Walleye, Pike. Fraser Lake Fishing Location Walleye, Pike, Perch. Sandy Beach with crown land camping. Parks Lake Fishing Location Walleye, Pike, Boat Launch with crown land camping. Waterfall into Nipigon River Waterfall Nice fishing as well. Access via river or trail to east. Small Waterfall Waterfall Small footpath to waterfall off bush road to south. Lofquist Municipal Park/Beach Other Recreation Upgraded amenities, changing rooms and benches in 2018. Gravel beach with floating dock offshore. Crystal clear water with abundant wildlife and fishes. Nipigon pool Other Recreation Outdoor pool opens in the summer at the Nipigon Recreation centre. Lifeguards on duty. Little Fraser Fishing Location Shore fishing - or small boat for Walleye, Perch, Brook Trout. Small waterfall and creek just upstream. Red Rock Marina Point of Interest Fantastic views, camping, interpretive center, canoe/kayak launch, fishing, docks, boat launch. 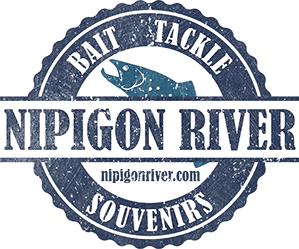 Nipigon River - Pipeline Fishing Location,Steelhead Easy foot access to the River for fishing and waterfall just downriver. Features: Lookouts over Black Bay, Red Rock and Nipigon River. Description: Hike this scenic trail to enjoy spectacular panoramic vistas. This is a foot and bike path that runs along the crests and valleys of the Red Rock Mountain. This trail takes advantage of all sides of the mountain, offering nearly a full 360 degree view of the region and a variety of the area's stunning geological features. This trail provides stellar views of a variety of stunning features of this portion of Lake Superior and a great chance to sit back, relax and enjoy from any of the three platform lookouts. Directions: From Hwy 11/17 take the turn-off to Red Rock on Hwy 628 and travel for approximately 5.5 km. Turn right onto Red Rock Road No. 1. The trailhead and parking area are just past the bailey bridge, on the right. The Palisades Point of Interest Tablelands with multiple waterfalls (ice falls in winter). Slate Islands Impact site Geology Point of Interest Ancient meteorite impact site. Small islands with Caribou. Rendevous Ski Trails Cross Country Ski Trail Distance: 2.5-6 km loops, 13 km total Elevation Gain: Estimated Time: 1-3hr Difficulty: Easy, intermediate and difficult loops. Features: Sheltered woodland and open track-set traditional trails. Organization: Rendezvous Cross Country Ski Club Description: A series of loop trails classically groomed and track-set for beginners to expert skiers, meandering through spectacular scenery in the valley between Nipigon and Red Rock. Skiers can choose a trail to suit their abilities. Directions: Approximately 6 km west of Nipigon, exit Highway 11/17 heading south onto Golf Course Road. Travel 350 metres to the trailhead sign on the right. Nipigon Look off Tower Point of Interest New tower offers stunning views of Red Rock, The Nipigon River Bridge and Nipigon Bay. Nipigon River Bridge Viewing Platform Point of Interest Viewing platform along walkway at the center of the Nipigon River Bridge overlooking Gapens Pool - a prime Brook Trout spawning bed on the Nipigon River. Features: Panoramic views of Nipigon River and Nipigon Bay from three clifftop lookouts. Wooded and shoreline habitats. White pelicans, peregrine falcon, bald eagles, great blue heron, otters. Description: Experience the shoreline of the Nipigon River from Nipigon to Red Rock and along Nipigon Bay on Lake Superior, the world’s largest freshwater lake. Suitable for ages 8 and up (depending on abilities) this is a well-maintained, rugged, wilderness recreation trail. If you don’t have much time, consider taking a shorter 40-minute (2.6 km return) hike starting at the Red Rock trailhead to the viewing platform at Lloyd’s Lookout, then hike a few minutes further to relax in the Parks Canada red chairs. Or, start at the Nipigon Marina trailhead and hike 2-3 km of flat terrain along the edge of the Nipigon River. If you plan to hike the entire trail, it is recommended you start at the Red Rock Trailhead. 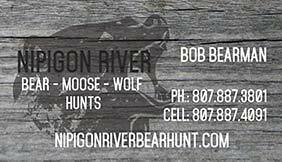 Shuttle service is available in Nipigon, call 807-887-1008. Red Rock Trailhead - From Highway 11/17 head south on Highway 628 towards Red Rock. Travel approximately 7 kilometres where signage will direct you to turn left onto Third St. a short gravel road, where the trailhead is found. Nipigon Trailhead - From Highway 11/17 turn onto Railway St. or First St. and follow the directional signs to the Nipigon Marina. From the marina parking lot, walk south across the road bridge to the trailhead. Dorion Fish Hatchery Point of Interest 800 Fish Hatchery Rd, Dorion, Ontario P0T 1K0, Canada Tours available weekdays, call ahead of time @ (807) 857-2322. Plan on spending a couple of hours in the area. See all aspects of The Dorion Fish Culture Station and all stages of the 600,000+ fish the station stocks in local lakes every year, from eggs to large adult fish. See all life stages of Lake Trout, Brook Trout and more. How to get there. 33km west of Nipigon along Highway 11/17. Turn North onto Fish Hatchery Road. Travel for 6.5km. There will be signs. This mountain bike/hike trail is a relatively new build concept that began in 2011, utilizing the principles and guidelines of sustainable design and construction put forward by the International Mountain Bike Association (IMBA). Originally the trail started when Parks Canada (LSNMCA) brought IMBA to Nipigon for a Trail Care Crew School. Over the course of the school, approximately 100 metres of sustainable trail was created. Construction continued by SSTA into the current 1.4 km length. The Portage Trail is a great way to explore Nipigon on foot or by bike. Begin at the Bridgeview Lookout (Railway St.), downtown, or at the marina to experience this 3.5 km urban trail that takes you down main street, around the lagoon, and under the famous Nipigon River Bridge. Browse the shops, enjoy the restaurants, visit the Paddle to the Sea Park/Splash Pad, take a dip, observe wildlife, and check out breathtaking views of Lake Helen, the Nipigon River, and Doghead Mountain. Features: Ridge-top lookouts over town of Nipigon and the Nipigon River. This mountain bike/hike trail is of moderate difficulty in terms of trail rating with one section considered difficult. The trail is well-known, and often visited by locals. There are impressive natural wonders, such as glacial erratics. Features: Thirteen cliff-top lookouts with panoramic views of Nipigon Bay, Nipigon River, Deer Lake, No Good Lake, Lofquist Lake and Black Bay. Old growth cedar forest, beaver dam. Description: This is a wilderness recreation trail. The wooded trail gradually climbs to the top of a cuesta and circles the perimeter with incredible views in all directions before returning to the trailhead. Trail spurs to cliffs overlooking No Good Lake and Lofquist Lake are optional. A beaver dam must be crossed on the No Good Lake spur trail. Directions: From Hwy 11/17, drive 3.4 km north on Hwy 585. A trailhead sign on the left near the bushline marks the start of your hike. Parking is available on either side of the road. 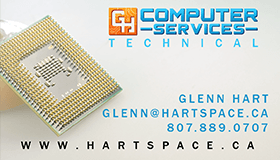 Early Access, Mailing list only content and information! 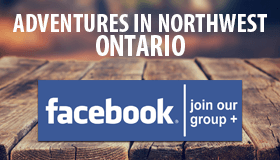 News, information and resources for Northwest Ontario visitors and residents.